Future Homes Estate provides an opportunity for you to invest in land in Abuja at affordable price and watch as the price appreciate greatly over the years. Thus giving you high return on your investment. Rather than putting your money into savings account where you will not get high return, take alternative approach today by acquiring land in Future Homes Kuje Abuja and see the way it will appreciate greatly giving you high return on your investment. 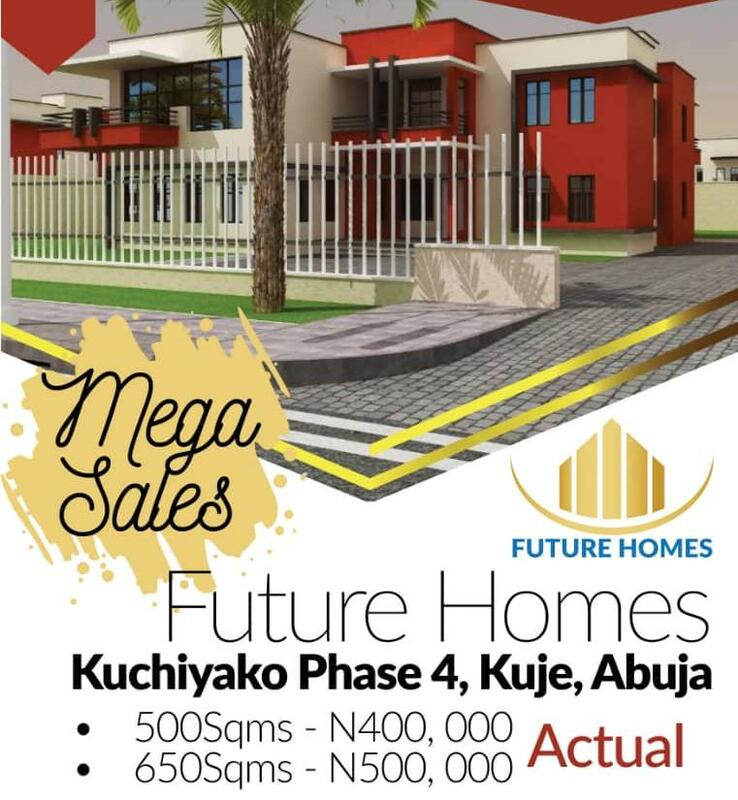 Future Homes Estate is a land investment/land banking package in Kuchiyako Phase 4, Kuje Area Council of FCT. It is in the neighborhood of Centenary City (The ongoing International 7 Star City which developer is from Dubai). The flagship projects of Future Homes is expected to be launched in 3 years. Apo-Kuje Dual carriageway running a few meters by Future Homes Estate will be a great boost to your investment. The title of Future Homes Estate land is Certificate of Occupancy. Which is a good plus to your investment. Many clients are already acquiring land in Future Homes. Don’t miss this rare opportunity.